What really did keep Radio Caroline on the air financially after 14th August 1967 was the heavy promotion of Major Minor records featuring artists such as David McWilliams, Raymond LeFevre and his Orchestra and the Roberto Mann Singers, as well as a large number of relatively unknown Irish folk singers. These 'plug' records - which numbered up to fourteen an hour at one point, were contained on a list supplied to both ships and DJs were instructed to play them to the exclusion of anything else they may have wished to include in their programmes. Although financially necessary the directive from Philip Soloman (who was now effectively running the Caroline stations) to include these records in the station's output caused much resentment amongst DJs, particularly on Caroline South whose reception area contained hardly any audience for such material. A number of dummy 'announcements' and 'advertisements' from British companies were also broadcast at this time in an attempt to confuse the authorities, who were known to be monitoring the station's output. These dummy commercials also provided cover for any true advertisers who, it was claimed, had bought enough airtime to keep the station operating for at least six months. The fake advertisements which were broadcast included products from various large British companies such as Horlicks, Nestle and Beechams, who all strongly denied that they had bought airtime on the station in contravention of the Marine etc. Broadcasting (Offences) Act. 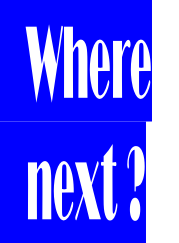 A spokesman for Beechams said, "All our contracts with the station ended last November. All they are doing is using old commercials and putting them out without our permission." Similar denials were issued by cigarette manufacturers Du Maurier, Peter Stuyvesant and Consulate as well as Swiss watch manufacturers Bulova, whose promotion continued to be aired at the top of each hour preceding the station's news bulletins. Although much of what these companies claimed was true - and there was a lot of bluffing by Radio Caroline about its advertising income after 14th August 1967 - there were in fact still a number of contractural agreements with advertisers which the station happily continued to fulfil. Vidor Batteries had signed a contract with Radio Caroline and Radio London for a three month campaign starting in June 1967, before the announcement of the implementation date of the Marine etc. 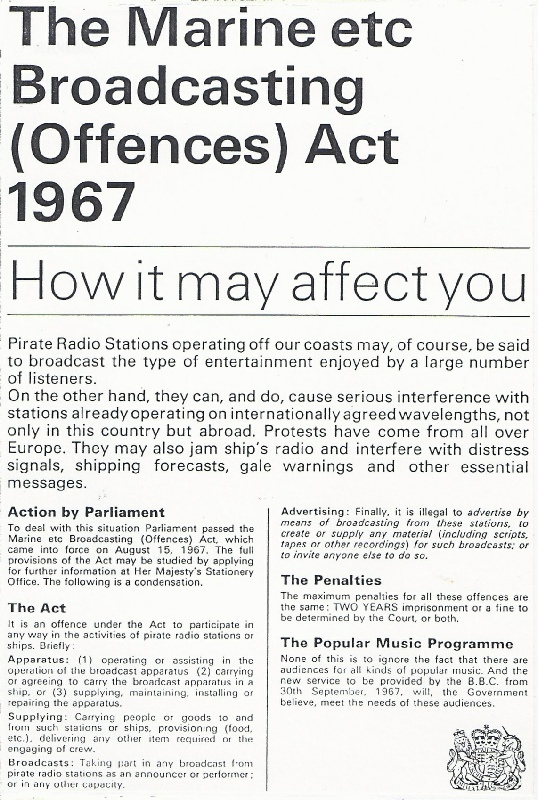 Broadcasting (Offences) Act and, therefore, although illegal by then its products continued to be promoted on both Caroline stations until late 1967. One advertiser, Derek Gardner Photographics of Leatherhead and Epsom, had run a campaign on the station during the early summer of 1967 which included promotional offers available until the end of September 1967. When Radio Caroline South continued to broadcast these commercials after 15th August 1967, again in fulfilment of its contract, Derek Gardner visited the Amsterdam headquarters to deliver a personal protest to the station's management. Another company, who had hardly ever advertised on offshore radio - Rowntrees Confectionery - also found many of its products, particularly Jelly Tots, Smarties, Spangles and Kit Kat being promoted on Radio Caroline after 15th August 1967. In this instance the station had taped the soundtrack of television commercials and was re-broadcasting them as 'dummy' advertisements. Officially Radio Caroline denied that they were transmitting any free advertisements and claimed that contracts for these international products had been entered into quite legally before the Marine etc. Broadcasting (Offences) Act became effective. 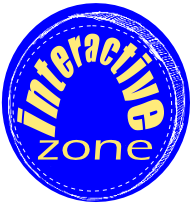 Despite Rad io Caroline's gesture of defiance in continuing to broadcast after the implementation of the new Act the authorities in Britain were determined to enforce the legislation and prevent any further stations taking to the air. The Post Office placed advertisements in over 70 newspapers and magazines warning potential advertisers and suppliers of the provisions of the Marine etc. Broadcasting (Offences) Act and the penalties which could be imposed for contravening it. 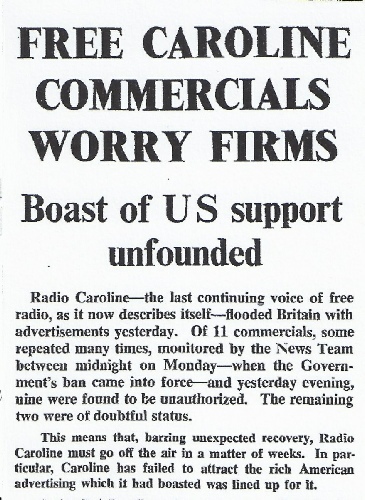 A full page advertisement was also taken in the American magazine Time, in a bid to dissuade any foreign-based companies, particularly those with offices or headquarters in America, from buying airtime on Radio Caroline. The initial euphoria which surrounded Radio Caroline's defiance of the Marine etc. Broadcasting (Offences) Act soon subsided as practical operating difficulties came to the fore. By September 1967 both ships were (theoretically at least) being tendered from foreign ports - the Mi Amigo (Caroline South) from IJmuiden in Holland and the MV Caroline (Caroline North) from Dundalk in Ireland. Fuel and major supplies for both ships came from Holland, and both stations operated with just a few on-air staff and radio engineers, the two week on, one week off rotas had gone and DJs had to spend many weeks on board the ships without a break. Also, to provide airtime cover, programme shifts for the DJs were extended from the previous three hours to four, and sometimes even six, hours at a time. Essential items of equipment and supplies were also in short supply and Caroline South in particular suffered from frequent transmitter breakdowns and periods off the air. Eventually, on 26th September 1967, Radio Caroline South reduced its transmission hours from 24 hours a day to a 5.30am-2.00am schedule, the first tangible sign that the station was encountering severe difficulties in providing a full programme output and maintaining regular lines of supply. 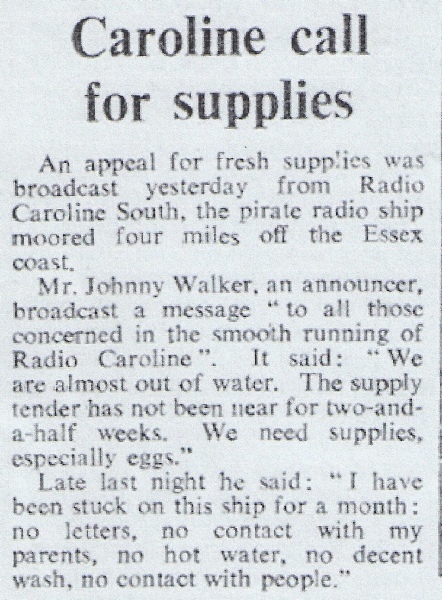 Tenders visited the two Radio Caroline ships sporadically, often failing to bring essential items or sometimes even a replacement crew, a reflection of the difficulties of operating long distance supply routes. DJs spent many weeks at a time on board and the cumulative demoralising effect of this lifestyle came to be reflected in the station's programme output, dictated as it was largely by the Major Minor 'plug list'. Significantly neither those on board the ships, nor the station's listeners realised at this time that revenue earned from the constant playing of these 'plug list' records was not being used to pay Radio Caroline's bills.